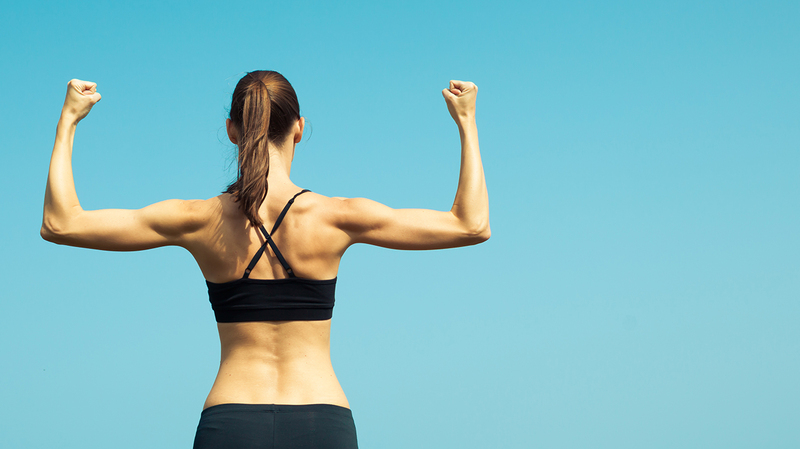 Are you self-conscious of your arms, back, belly, or maybe all of the above? Don’t stress it, girl. We’ve all been there. Fortunately, routines like this one that will tone and tighten your upper body can solve that worry once and for all! These 6 moves will target all of the major muscle groups of your upper body, including your chest, back, triceps, biceps, shoulders, and core! Each of the following exercises are simple enough that you can perform them multiple times per day and week! The more often that you can complete this routine, the faster your results will come! Of course, it’s important to keep in mind that eating right plays a huge role in shedding excess fat and toning your muscles! Check out our Ultimate Clean-Eating Grocery List and then download the Clean-Eating Menu Planner to help you meal-prep for the upcoming week! Also, make sure you get plenty of Protein to fuel your muscles! Are you ready to feel comfortable in your own skin again? If so, then let’s get started! What to do: Perform 15 reps of each exercise. Complete 2 to 4 rounds. Rest for up to 60 seconds between each round. You’ll find instructional videos for each exercise at the bottom of this post. This routine to tone and tighten your upper body will reveal noticeable results in just a few weeks. If you remain consistent, the progress will come! Aside from making you look incredible, you’ll feel stronger and more fit than ever before. Give this workout a try today!